NASHVILLE – In the blink of an eye, a goalless game turned into a Nashville Soccer Club win. 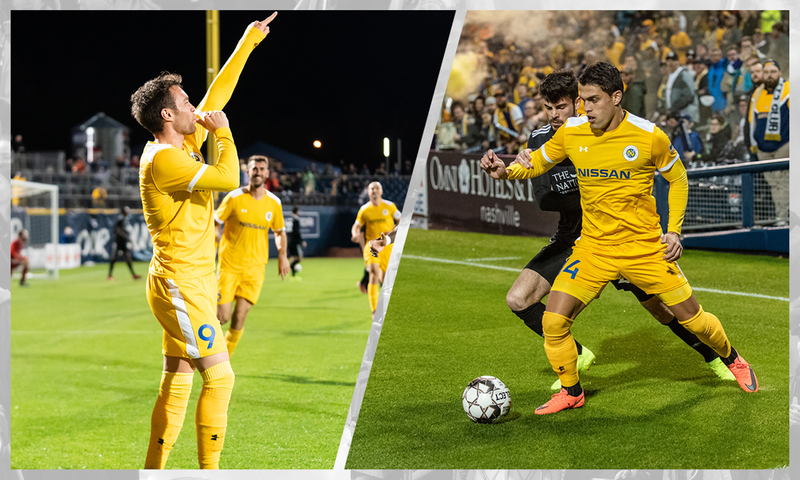 Two goals in three minutes in the second half led to a dominant win in Nashville SC’s USL Championship season opener against Loudoun United FC at First Tennessee Park on Friday night. The goalscorers were Cameron Lancaster and Daniel Ríos, the two Major League Soccer signings brought in specifically to improve the offense in 2019. Both delivered in a big way in their first appearance in front of the Nashville fans. After a first half that saw Nashville SC create chances but lack the ability to finish, Smith slightly shifted the formation, moving Lancaster and Ríos into a forward pair. The move paid dividends almost immediately as Lancaster struck 13 minutes into the second half. A corner kick from Lebo Moloto, hit short to the near post, found the head of Lancaster. 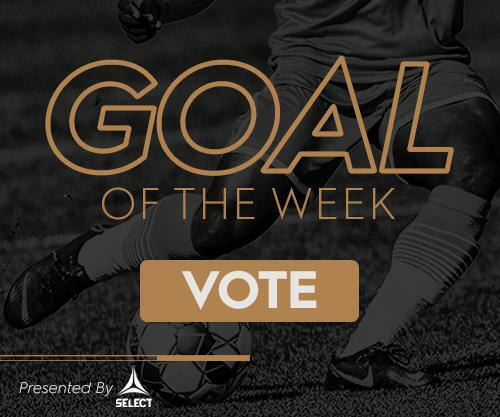 The reigning Golden Boot winner slightly flicked the ball with his head towards the post, looping a shot just over the outstretched fingers of Loudoun goalkeeper Calle Brown and under the crossbar. It was the first official goal of Nashville’s 2019 season, and was proof of Lancaster’s knack for finding the net. Not to be outdone, fellow MLS signing Daniel Ríos, doubled the tally just three minutes later. It started with a cross sent in by winger Taylor Washington, deflecting off Brown’s hands and falling perfectly to Ríos. A 20-goal scorer in his own right, the former Club de Guadalajara player didn’t miss on his opportunity. Ríos volleyed the spill just inside the post, cementing the three points for Nashville SC. Both Lancaster and Ríos immediately delivered on the expectations of both the fans and the Nashville SC coaching staff after the two signed MLS contracts in the final six weeks of the 2018 calendar year. Fans next opportunity to see the MLS forward pair will be on Saturday against Saint Louis FC at First Tennessee Park at 7 p.m. Tickets to the game are still available and can be purchased at NashvilleSC.com/tickets.